Today we’re witnessing the inauguration of the 44th president of the United States…a man who won the votes, hearts, and confidence of millions despite the odds stacked against him. You may be ecstatic about our new president. Or you may not agree with his policies, politics, and philosophies. 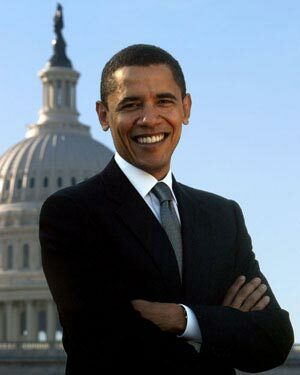 Regardless, I think most Americans will agree that Obama won the election because he offered hope. And hope, I believe, is what keeps us going. Hope motivates us to keep trying, gives us the determination to overcome obstacles, and keeps our spirits from plummeting. It’s hope that does these things…not money. Not things. Not the nice office with a window, the company car, insurance benefits or paid vacation. It’s hope. As a people, we need hope to move the country forward. And on the job, your employees need hope to move the company forward. You provide your staff with hope when you show them you care about them as individuals-not just as employees. When you consistently show appreciation and say thank you. When you demonstrate an interest in their futures and in their career growth. When you communicate with them extensively, train them appropriately, and answer their questions kindly and patiently-no matter what the question. You deliver hope to employees when you treat everyone fairly, admit when you’re wrong, ask for their advice, and listen to their concerns. When you’re not afraid to hear their criticisms of you and of the company. When you welcome their input and front-line observations. When you do what you’ve said you will do. And when you’re consistently pleasant and professional. Give your employees hope…and they’ll give you commitment, hard work, teamwork, and ingenuity. Your company…like our country…can afford nothing less.